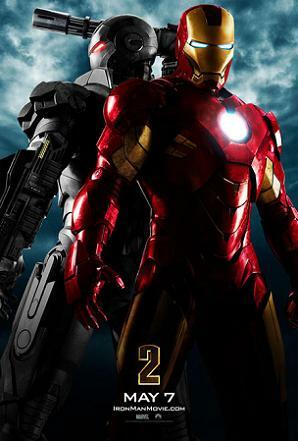 With the world now aware of his dual life as the armored superhero Iron Man, billionaire inventor Tony Stark (Robert Downey Jr.) faces pressure from the government, the press, and the public to share his technology with the military. 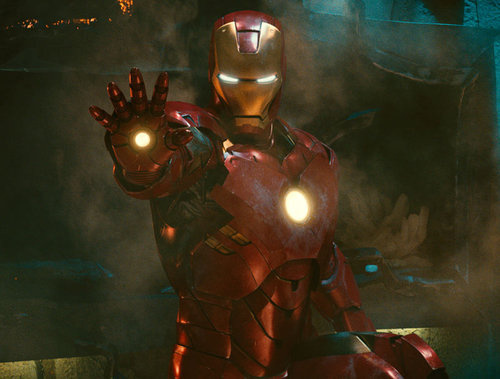 Unwilling to let go of his invention, Stark, along with Pepper Potts (Gwyneth Paltrow), and James “Rhodey” Rhodes (Don Cheadle) at his side, must forge new alliances — and confront powerful enemies. Robert Downey Jr. still best for the role, watching him I saw both Tony Starks & Iron Man in Him not Robert Downey, (unlike in the Daredevil all i saw was Ben Afflect trying to be Matt Murdock/daredevil) you feelin’ me? Don Cheadle as Lt. Colonel James “Rhodey” Rhodes proves to be better military type than Howard.. which we didn’t miss. Scarlett’s introduction as the Black Widow (Natalie Rushman). Is this Girl Hot or what, I mean I could barely recognize her with-out her puffy face. Her scenes were eyecathing action as well as her Outfit. I hope they still include her in the Avenger movie. There Tones Action in this one and were distributed along the movie and a lot of banter & humor between Tony & Pepper Potts, adds up to the enjoyment of the film. Some of the dialog scene really bugs me, some of them were long and I felt I little boredom in the movie. 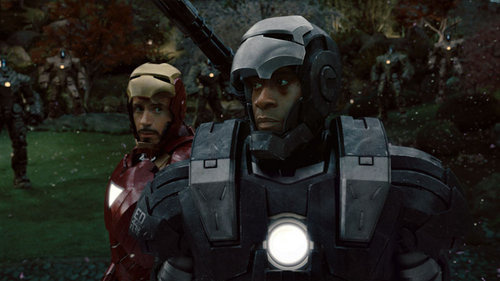 As far as War Machine, and comics is concerned Tony Sarks made him as for his protection or for his best friend Rhodey. I was expecting more action scene during the last battle between Iron-Man, War Machine & Wiplash it could been more exciting & breath talking, instead of a joined Plasma Discharge (Pulse Bolt). I mean even my girlfriend notices that & she’s not even a fan. It’s a great ride and fun to watch.